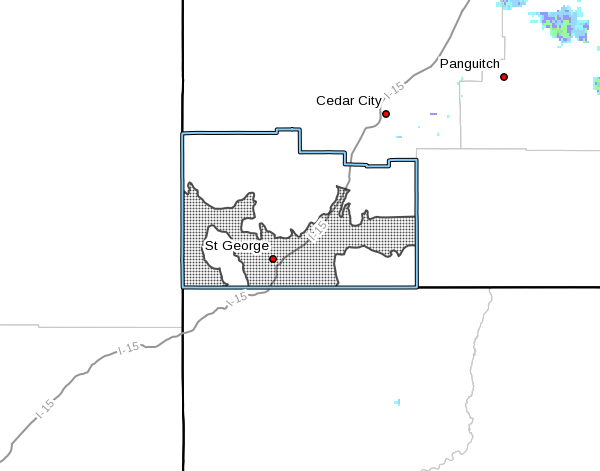 ST. GEORGE — The National Weather Service in Salt Lake City has issued a wind advisory for much of southwest Utah including Zion National Park and the City of St. George. North-south oriented valleys and canyon mouths of southwest Utah, particularly along the Interstate 15 corridor from near Hurricane to near Cedar City, will see the brunt of this wind advisory. Winds are expected to be much lighter in the St. George area. The usual blustery winds of Southern Utah will grow in strength from 9 p.m. Thursday to 6 a.m. Friday. Winds will be moving from north to northeast at speeds of 25 to 35 mph. Wind gusts as high as 50 mph are possible. Those hoping to enjoy the outdoors should take note: Winds will increase quickly after sunset and are likely to peak just after midnight. Winds should decrease by sunrise, but remain breezy. Strong winds are possible again Friday night. Strong crosswinds on local east-west oriented roads may make driving difficult at times. Motorists are cautioned to be aware that areas of blowing dust will develop, especially near open agricultural lands, and could hinder visibility. The strong winds will also create dangerous boating conditions on area lakes. These winds will create very choppy water and generate large waves which could capsize or swamp small water craft. For your personal safety, operators of small craft are urged to postpone outings until the winds subside.